Solo Slim Review (UPDATED 2019)- Does it Really Work? 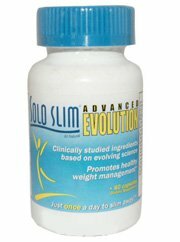 Solo Slim Review – Does it Really Work? Weight loss in the form of relatively newly found ingredients and some standard ingredients found in weight loss products. A full fledged combination of metabolism boosting, appetite reducing, and appetite satisfying properties are supposedly found within. Many of the claims for this products use is made from third party retailers as the manufacturer does not hold their own website. However in order to give it a fair shake we’ve discovered this products potential. Further details are needed, let’s see what springs up. Founded in New York, the company EZVille Ltd not only offers this product but a variant of this brand in a higher strength. The FDA found that this product actually contained the banned ingredient Sibutramine. The reason why is was banned was because of its ability to increase risk of heart attack and stroke. Sibutramine has been shown to reduce appetite however, it was banned as only very specific prescriptions are given under strict medical supervision. The FDA left a warning for customers to discontinue use as soon as possible to prevent health risks. While descriptions are left in the hands of parties who didn’t manufacture this product, what is available is as follows. Blood sugar levels and satiety are controlled thru the addition of plants and fibers. Metabolism is ramped up with natural stimulants. Antioxidants and fat burning is added thru EGCG and green tea. Meanwhile fat cells are destroyed using a form of seaweed. Not much detail however exists further than what is provided here. No customer opinions, clinical trials, money back guarantee, or even a way to rate this product exist. Some websites oddly have this product described but no longer carry it in stock. Without any useful information it’s unknown what this supplement is capable of. Due to fears of contamination with Sibutramine and forced recalls, it calls into question the safety and reliability of Solo Slim. Supplements from companies with legitimate good histories offer valuable products for weight loss. -Konjac Glucomannan: Taken from a plant, this sugar fiber is meant to provide soluble fiber for reduced blood sugar and less hunger. -Green Aloe: Taken from the Aloe Vera plant and used as a fiber. -Citrus Aurantium Synephrine: A stimulant taken from citrus fruits, the active ingredient not only increases heart rate but raises the level of blood pressure. -Lotus Leaf Flavonoids and Alkaloids: Used to treat diarrhea on top of reducing cholesterol and lowering blood sugar. -Decaffeinated Green Tea(45% EGCG): Stimulant free version of a common tea rich full of antioxidants like EGCG, meant to increase metabolism. -Hawthorne Hyperosides: Berry extracts used for healthy lipids reduction and supposed heart health factors. -Fucoxanthin 10%: A form of seaweed extract that is used to decrease the rate of body fat. Difficulty swallowing, diarrhea, elevated heart rate and blood pressure, anxiety, mood swings, constipation, trouble focusing, and headaches. Product comes inside a vegetarian capsule. It’s not a good sign that no official website exists for this brand and that 3rd party sellers are left responsible to market and present Solo Slim. By not taking responsibility for the product people are let stranded, not able to know how old the batches are and if they really do what the retailers say they do. Also no money back guarantee is offered at all. One odd problem we faced is many websites still market this brand but claim it is discontinued. The fact some still sell it calls into account how they’re able to do so. Without explanation for the discontinuation it’s impossible to know if it is banned or if most companies have abandoned sell due to their reputation. This reputation was tarnished due to their addition of the prescription drug Sibutramine. Until questions are answered as to how it got in there or guarantees are offered it no longer exists, it’s impossible to know the full potential negative side effects. The focus this supplement brings to itself is to rely on the notion of a 100% natural product. It’s unknown if anything that is offered is true due to the companies abandonment of their own brand. 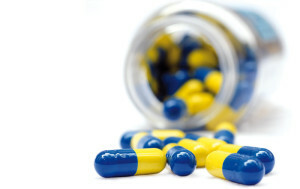 Recalls due to contaminated batches with illegal drugs were likely the reason why they decided to stop their campaign. However since the product is available in older batches that do not have a money back guarantee or safety guarantee, it’s too risky to try. You won’t know what to expect in terms of quality, safety or even effectiveness. So far there’s no real reason to try this brand. Looking at this brand from top to bottom leaves no real positives available. Alternative weight loss products exist thru reputable manufacturers and customer approved supplements. Gambling on your health and well being is not a prerequisite to reducing pounds. Take the all natural choice and see real safe and real effective progress. Whats better than Solo Slim?